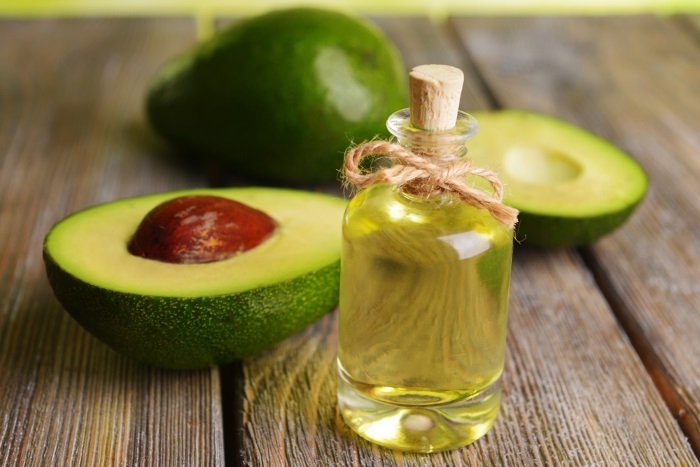 What Are The Benefits Of Avocado Oil For Skin? Avocado oil is a healthy oil that has grown in popularity for cooking food with an increasingly health-conscious media and public for some time now. But, its use in commercial cosmetics has been on the increase as well. 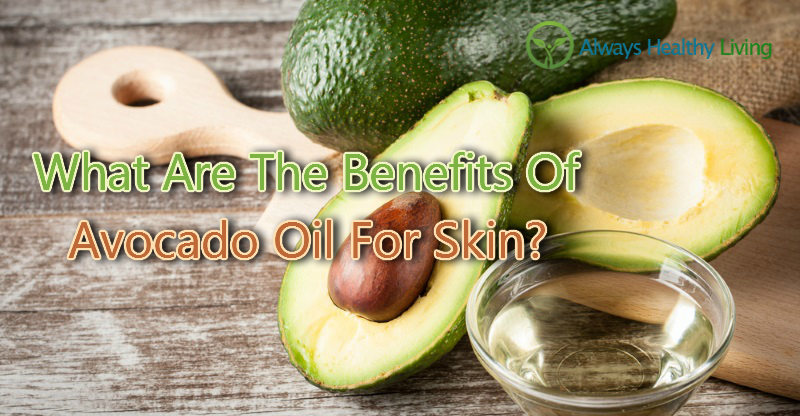 This is because of the many benefits of avocado oil for skin. It’s cheap to buy, and easy to use in your skin care routine. 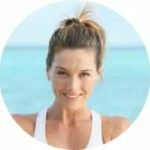 In this article, we’ll look at the science backed uses and benefits that make this oil such a helpful aid to beautiful and healthy skin. 1 What Is Avocado Oil? 4 What Type Of Avocado Oil Should You Use ? Avocado oil is pressed from the flesh of the avocado fruit. This makes it different to most other edible oils, which are usually extracted from seeds. Similar to olive oil, it’s rich in the monosaturated fatty acid oleic acid, and contains Vitamin E which is essential for skin health. It’s frequently used in cosmetics because of its high penetration of the skin and ability to be absorbed quickly. Its high oleic acid content help to make it an effective carrier for essential oils and other active compounds because it enhances their uptake by the skin (1). A number of the benefits that avocado oil contains are due to its high oleic acid content. Studies have shown that topical application of essential fatty acids, like oleic acid, is an effective way of supplying them for use by the skin (2). The vitamin E content, along with plant phytosterols and polyphenolic compounds, also provide additional benefits. One of the main reasons for using a facial oil is because of the moisturizing properties that they have. Avocado oil is a very effective moisturizer. It’s easily absorbed by the skin and forms a protective barrier which prevents water loss (3). This makes it a good choice for people who are suffering from dry skin. 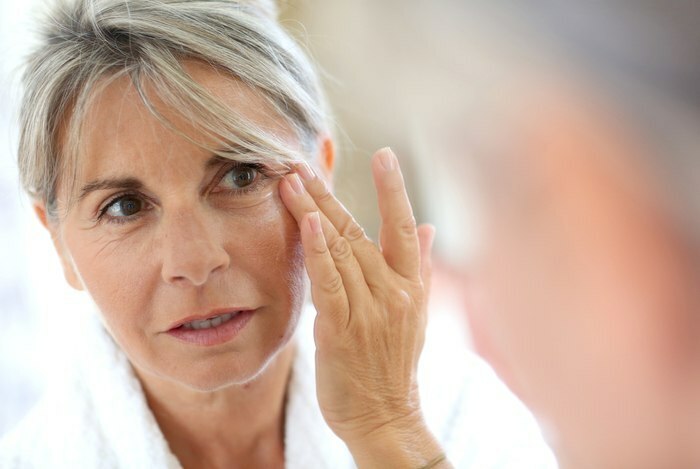 One of the main things that is responsible for the change in appearance we see as our skin ages is the damage that is caused by ultraviolet light from the sun, as well as environmental pollutants. 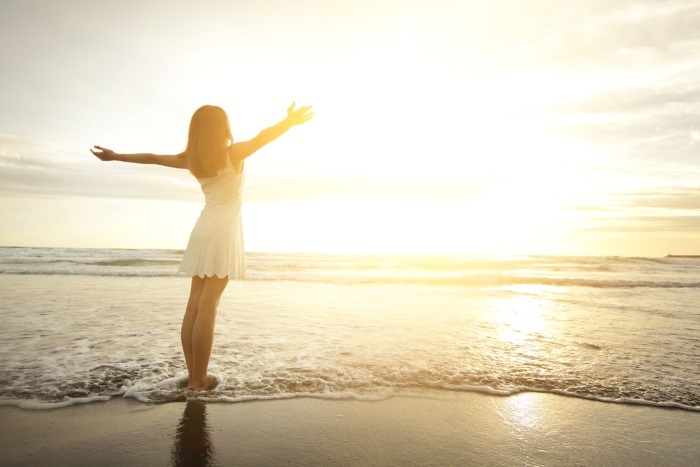 Exposure to these leads to the creation of free radicals that react with cellular structures and DNA in your skin. This weakens the collagen and elastin that gives your skin its support, and can even cause mutations that can lead to skin cancer. Topically applied antioxidants can neutralize these harmful free radical particles, thereby preventing the damage they cause and slowing the appearance of aging on your skin in the form of fine lines, wrinkles, and sagging. Avocado oil is high in vitamin E and plant polyphenols that act as powerful antioxidants. When applied to the skin these act as free radical scavengers that protect your skin from oxidative damage (4). It also contains polyhydroxylated alcohols that can reduce inflammation and damage after exposure to UV radiation (5). With most oils, the benefits for your skin largely lie in their moisturizing and antioxidant properties. But, avocado oil might actually help your skin to turn back the hands of time. Evidence suggests that it increases the amount of collagen that is found in the skin (6). This can help to repair the structural support of the skin, reducing lines and wrinkles. Avocado oil can help to soothe sensitive, itchy, and inflamed skin. It contains phytosterols, like beta-sitosterol, that scientific studies have shown reduce your body’s inflammatory response (7). Acne is a skin condition that causes a lot of distress because of the damage it does to a person’s appearance and to their self-esteem. It can be a difficult ailment to treat, as people respond differently to treatments. Avocado oil can help people who are suffering from acne. The antioxidants it contains can prevent sebum oxidation, which is one of the important stages in the formation of acne lesions (8). The phytosterols it contains have an anti-inflammatory effect (9) that can reduce the painful inflammation that appears on the skin. Its ability to enhance penetration of the skin also makes it a good carrier oil to use for homemade acne treatments involving essential oils. 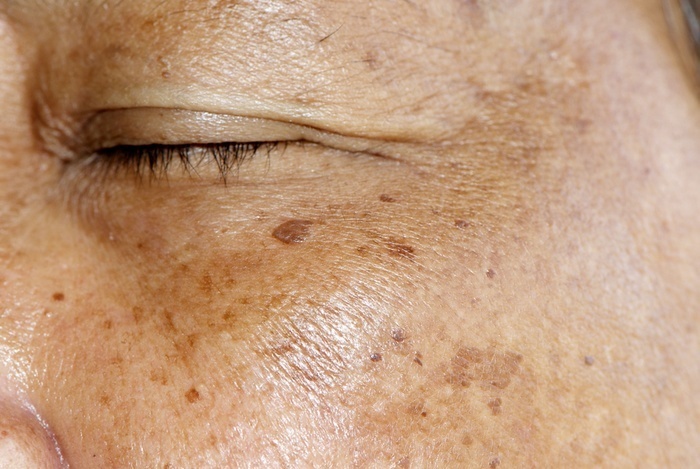 Excessive exposure to the sun can cause hyperpigmentation on your skin. If you are experiencing this problem, then avocado oil is a natural treatment that could help you to lighten the affected areas. This is due to the high fatty acid content of avocado oil. Studies indicate that the fatty acids linoleic acid, alpha-linolenic acid, and oleic acid can reduce ultraviolet radiation-induced hyperpigmentation by inhibiting the production of the melanin pigment that creates the dark spots, and increasing the rate of removal of existing pigment (10). Avocado oil contains all three of those fatty acids, so it should give you a positive effect. But, it’s worth knowing that it’s highest in oleic acid, which has the weakest effect of the three in lightening the hyperpigmentation. Oils that are higher in alpha-linolenic acid or linoleic acid, like flaxseed oil, will show more pronounced results. Applying avocado oil to your skin after you have spent too long in the sun can help to minimize the effects of sunburn. This is due to its vitamin E content. Damage continues to occur inside the skin for several hours after sun exposure, but studies have shown that vitamin E reduces this damage (11). 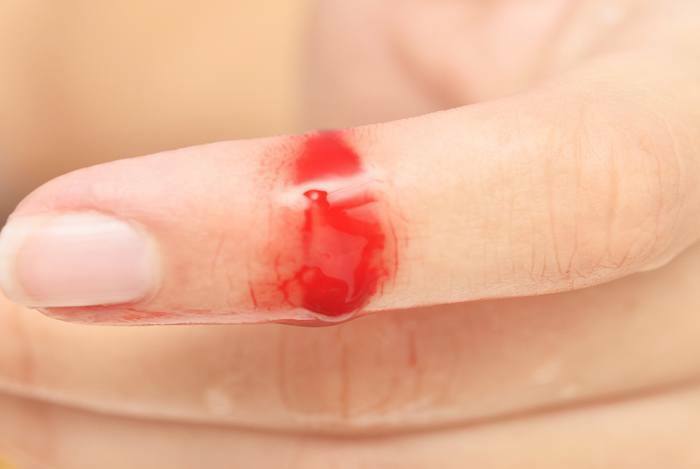 Studies have shown that avocado oil can speed up the wound healing process when the skin is cut. This is attributed to the fatty acids it contains, in particular, its high oleic acid content. The fatty acids prevent chronic inflammation and increase the synthesis of collagen needed to help close the wound (12). Before you use avocado oil for the first time, it's best to do a quick patch test to see how your skin reacts. Apply a small amount of oil to your wrist and leave it there for about 30 minutes. People with a latex allergy should be aware that they might also be allergic to avocado (13). Avocado oil has a 2 out of 5 rating on the comedogenicity scale. 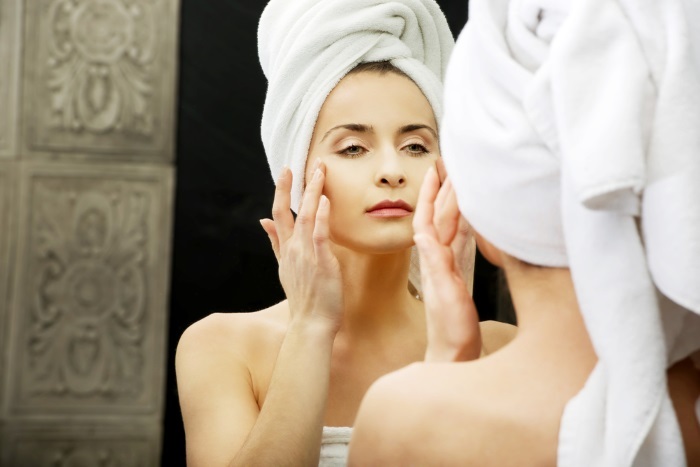 This is a moderately low rating, but if you are prone to acne breakouts, or have oily skin, it's something to be aware of because some people find that it clogs their skin pores, making their acne worse. What Type Of Avocado Oil Should You Use ? It’s best to use organic cold pressed avocado oil. This is most likely to contain the full range of antioxidant and anti-inflammatory active compounds. Avocado oil is an effective moisturizer that also provides your skin with antioxidant protection, and even has anti-aging skin care benefits. It’s easily and quickly absorbed by your skin, and makes an excellent carrier oil for essential oils if you’re thinking about making your own skin care preparations. Have you tried avocado oil for skin care? Please share your experiences in the comments below!